6 light chandelier, brass frame dressed with bohemian crystal. 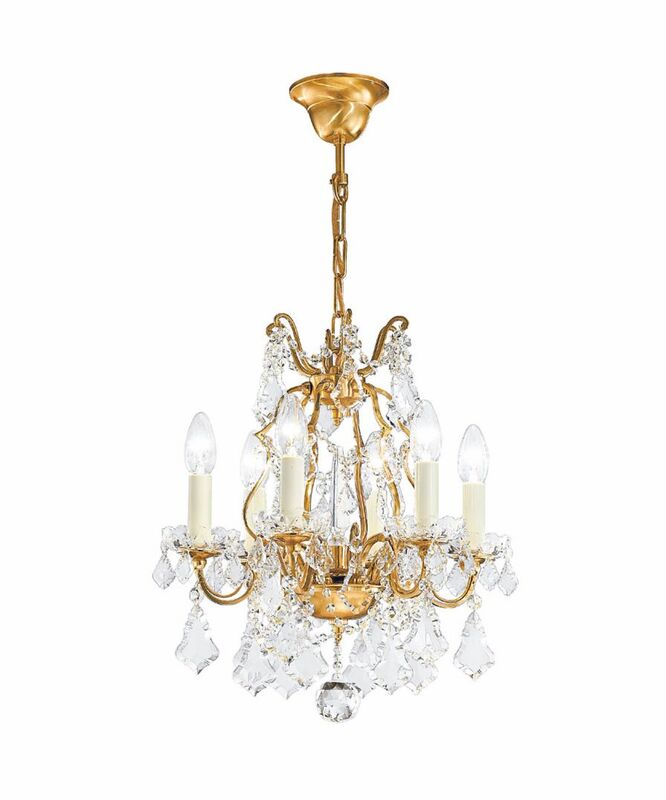 Shown in our popular french gold finish this chandelier will add a touch of splendour to small halls or living rooms. the ceiling cup can be modified to provide a shorter drop. Other finishes are available to order.